The bass drum is a percussion instrument played by using padded beaters or sticks and striking it against the drumhead. In a drum set, the musician plays the bass drum by using a pedal-operated stick. The bass drums that are used in marching bands and military music have two drumheads. The ones used in Western-style orchestras often have one rod-tensioned head. Another type of bass drum is the gong drum which is larger and has only one drumhead and is used in British orchestras. 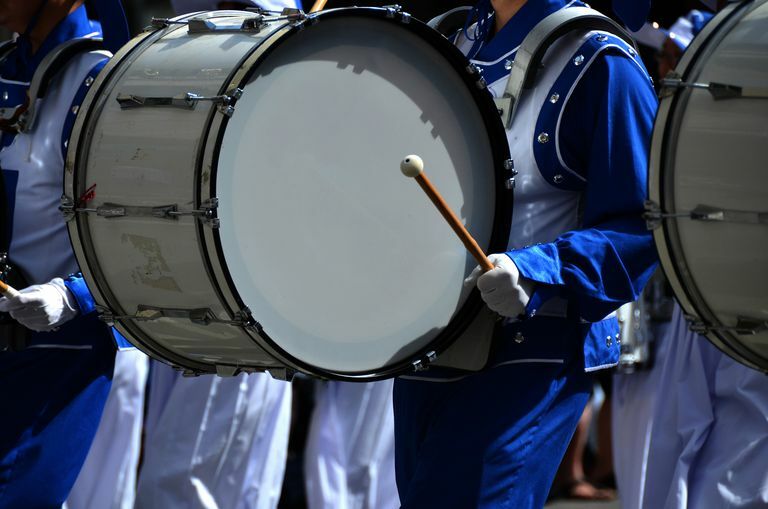 The bass drum has a deep sound and is the biggest member of the drum family. The first known bass drums that had two drumheads are believed to have existed as early as 2500 BC in Sumeria. The bass drum used during the 18th century in Europe was derived from the drums of Turkish Janissary bands. The bass drum was predominantly used to add effect to a piece of music. Some famous composers who used it include ​Richard Wagner (The Ring of the Nibelung), Wolfgang Amadeus Mozart (The Abduction from the Seraglio), Giuseppe Verdi (Requiem) and Franz Joseph Haydn (Military Symphony No. 100).